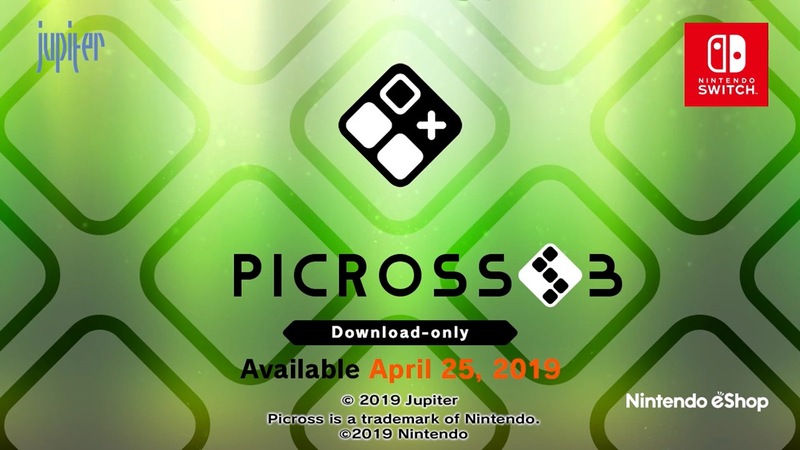 Jupiter is bringing Picross S3 to Switch, the company has announced. A worldwide release is planned for April 25. The game will feature Color Picross from the Picross S series, of which 30 puzzles are included. Other modes include standard Picross and Mega Picross. In total, there are 300 puzzles spread out across these two modes. That’s not all, as Jupiter is also cramming in 150 Clip Picross piece puzzles. A couple of new functions have been added this time around. Along with a puzzle preview feature, there’s also a player color marker function.